To the world, It's a bunch of foolishness. But, to God, It's the only way. The only thing that He requires is that Token. It must be there. 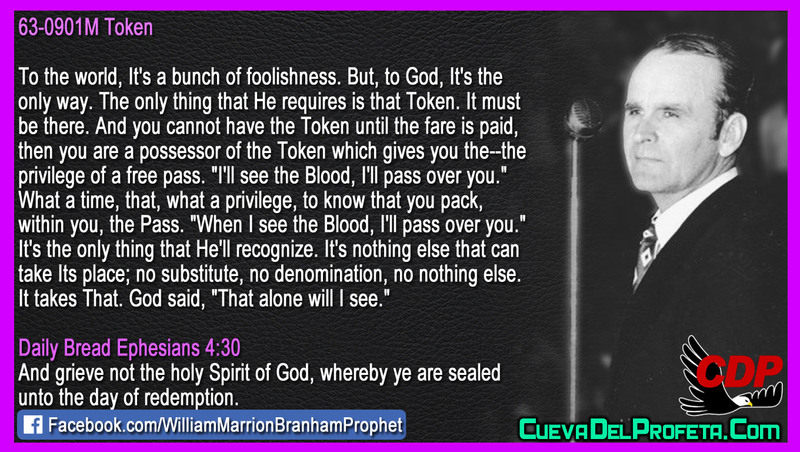 And you cannot have the Token until the fare is paid, then you are a possessor of the Token which gives you the--the privilege of a free pass. "I'll see the Blood, I'll pass over you." What a time, that, what a privilege, to know that you pack, within you, the Pass. "When I see the Blood, I'll pass over you." It's the only thing that He'll recognize. It's nothing else that can take Its place; no substitute, no denomination, no nothing else. It takes That. God said, "That alone will I see."